In keeping with the government’s topmost agenda i.e fast-paced Infrastructural growth, CII has announced what is likely to be one of its most important conferences in 2015. 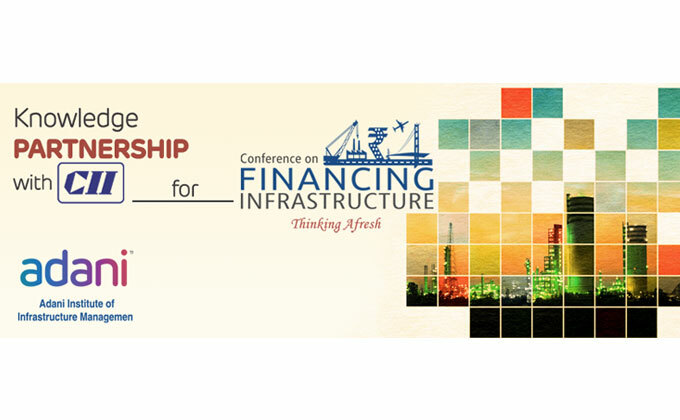 CII will be conducting the Conference on Financing Infrastructure on the 11th and 12th of September 2015, at Ahmedabad. The critical role of Knowledge Partner will be executed by The Centre of Project Finance, Adani Institute of Infrastructure Management (AIIM). AIIM is the only niche institute of its kind, focussed on world class capacity building for the Indian infrastructure industry. Backed by the 9 billion-dollar Adani Group, AIIM has a Center of Excellence, called the Centre of Project Finance - that researches ways and means of addressing financial challenges faced by all kinds of infrastructure projects. The range of knowledge support from the Centre of Project Finance, AIIM, to CII for this conference is quite expansive. Right from the theme, to the programme structure, designing the sessions, and identifying and suggesting the subject experts for each session…. the ‘Things-to-do’list is rather exhaustive. Equally important part as Knowledge Partner, is to make its experts at the Centre for Project Finance, AIIM, available to moderate as well as form a part of the session panels. Over the years, AIIM has gathered exhaustive knowledge, research, and professional network in the field of Infrastructure Financing. Extensive discussion with relevant stakeholders, and experience in the field has enabled the Centre of Project Finance, AIIM to review the infrastructure financing scenario in India, identify the critical areas of strategic and policy gaps, and accordingly, design the entire conference. However, as Knowledge Partners to CII for the conference the most crucial job that AIIM will execute will be that of contributing significantly to preparing conference report , and structuring the deliberations/recommendations for the consumption of decision-makers in the policymaking and business world.